Testing across a wide variety of browsers for ever changing applications has always been a monumental task. With frequent software release cycles, testing software in agile mode including comprehensive coverage is of paramount importance. Speed to market is not a new paradigm and all business and IT departments would like to streamline the testing methodologies and practices. Using ITAS, it is possible to test software on hourly basis without requiring additional resources, skill set and compromising time and quality. In Agile and DevOps World, continuous testing enables to develop, test and release faster without compromising quality. All these goals can be easily achieved with end to end testing which can be executed several times a day with ITAS innovative engine. Testing across a wide variety of browsers (Chrome, Internet Explorer, etc.) and devices (Apple, Android) is critical for customer’s experience. With ITAS, one can test the functionality across browsers and mobile devices without making any change in the automation scripts. This is unmatched feature that allows business to focus on building future applications without the fear of breaking existing features and functionality. Release cycles are getting shorter and shorter in agile methodology. Tests need to be performed on a daily or hourly basis. To maximize the investment your testing teams have made in creating stable, reliable and fast functional tests, ITAS makes it easy to reuse those tests as performance tests as well as running in different environments. With its innovative distributive model, ITAS allows to run automated test cases across the testing labs (whether on-premise, in Cloud or hybrid models). With pre-configured setup, all the test cases can run in parallel model across many browsers, OS and network combinations to accelerate the test execution with lightning speed and accuracy. 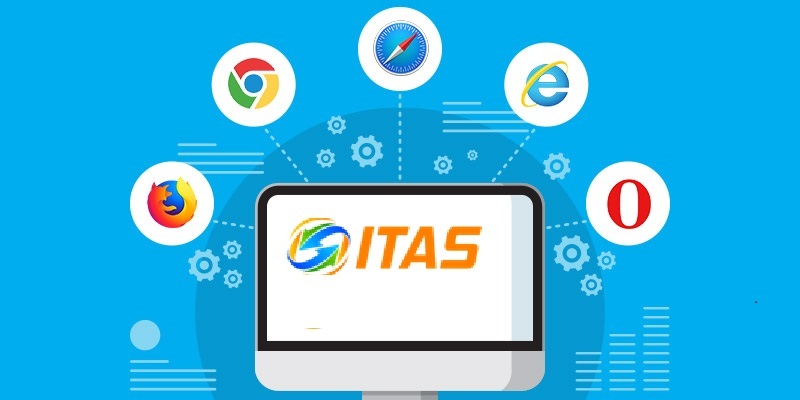 Since ITAS provides integration across all technology platforms, it is very easy to simulate production testing by executing browser based automated test cases and utilizing the same data for Services Test cases as well as mobile platforms. All three major platforms (Browser, Mobile and Web Services) can be executed in a standard workflow simulating production scenarios. Fusion’s Cloud ready ITAS empowers its clients in today’s fast paced World, to implement agile testing methodology along with automation. The result is one always stays ahead of the curve. Open architecture ensures the highest level of scalability, integration and performance. It’s API interface makes CI Integration in DevOps model seamless. Execute functional, regression and performance testing using single test case object repository, using one simple interface across multiple browsers.